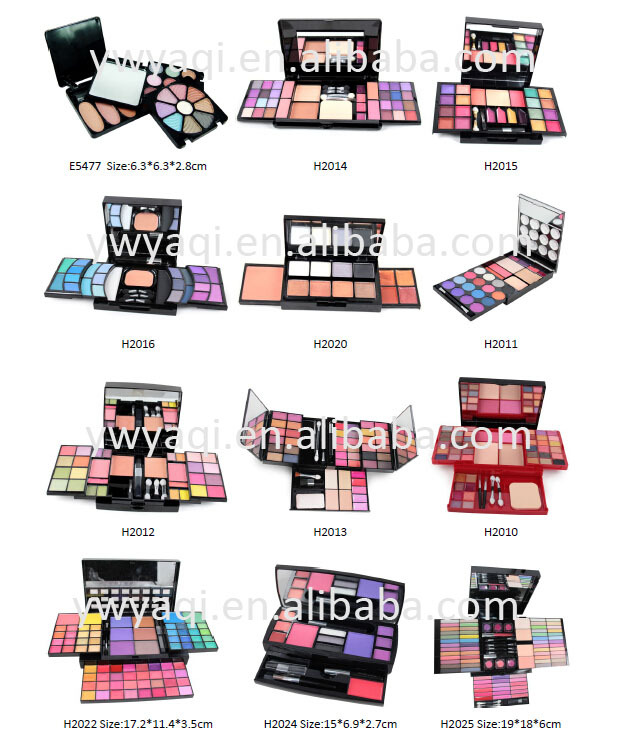 2015 Professional Customized Cosmetics Makeup Kit Fate of Flower Cosmetics Set is made of selected natural porous ele ment and amio acid.The penetrative and fine powder draw a long-lasting and balanced color to your eyes.Easy to mix and easy to apply,it illumimates your eyes with style and vogue. 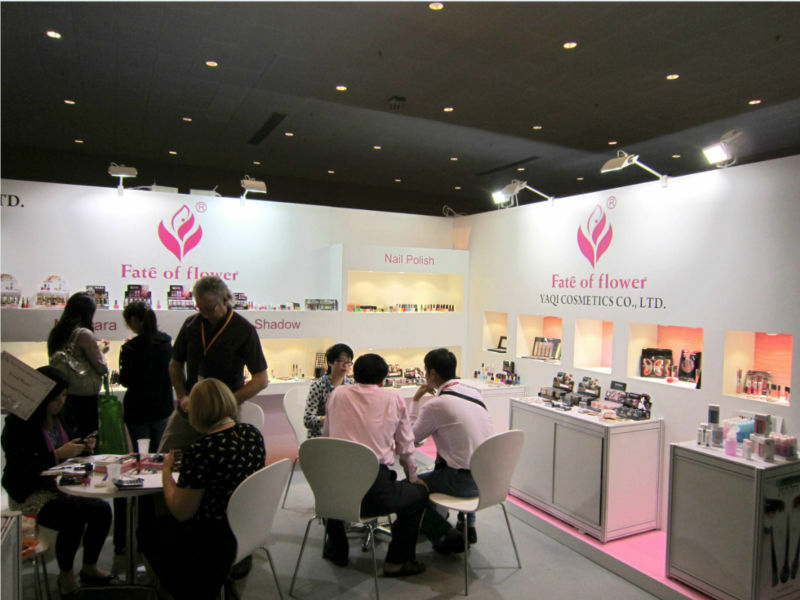 ABOUT US Yiwu yaqi cosmetics co., LTD was established in 2000, the company is a comprehensive enterprise, cosmetics research,production and sales in one. We specialize in cosmetic manufacture all kinds of color. We now have advanced production equipment, excellent technology and strict quality control system. Our factory has obtained ISO9001:2008 GMPC and factory audit report. Miss "disconnect", "I" and "LEIYU" is our main brand. Specifically, the main products include Nailpolish, Lipstick , lip gloss, eye shadow and compact powder, Mascara , Eyeliner and liquid Foundation. This series of products have been selling domestic and global more than 10 countries and regions. At the same time, we also provide OEM and ODM service, in order to better meet customer specifications. At present, we are looking forward to greater cooperation with overseas customers based on mutual benefit.Please feel free to contact us for more details. FAQ 1.Could you tell me your main product? Our main production is Nail Polish,nail polish remover.nail art pen,lipstick,Lip Gloss, Lip Balm ,Eyeshadow,blusher,Compact Powder, brow powder,baked powder,mascara,eyeliner, Make Up sets,foundation and other color cosmetics. 2.What is your MOQ? 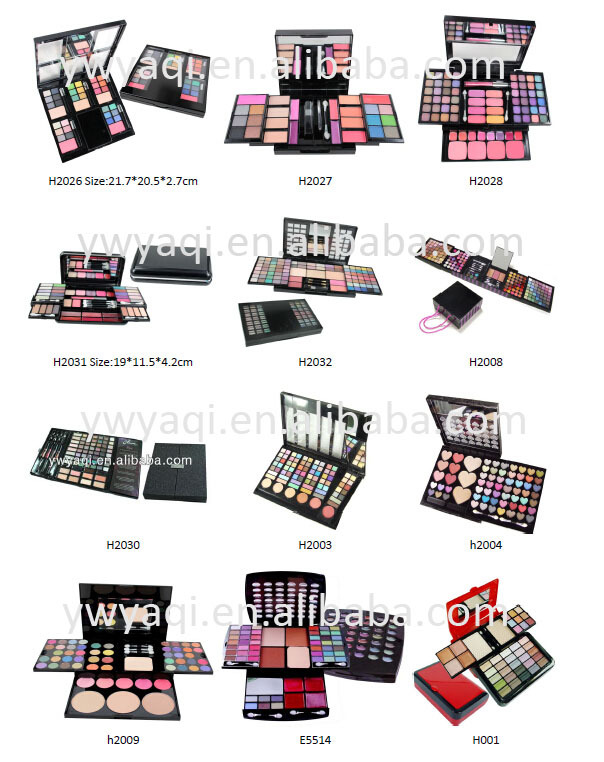 Nail polish,nail polish remover.nail art pen,lipstick is 24000pcs and others are 12000pcs each item. 3.Could I do our logo printing ? Yes,we could do your printing. 4.What is sample Date? 5-10 days. 5.What is the Deliver Date? 45 days after confirming the pre-production sample 6.Could you tell me your payment item? Payment Item: T/T,30% deposit after confirming the order and 70% balance against the B/L if by sea. Contact us if you need more details on Cosmetics. We are ready to answer your questions on packaging, logistics, certification or any other aspects about Makeup Kit、Cosmetics Makeup Kit. If these products fail to match your need, please contact us and we would like to provide relevant information.